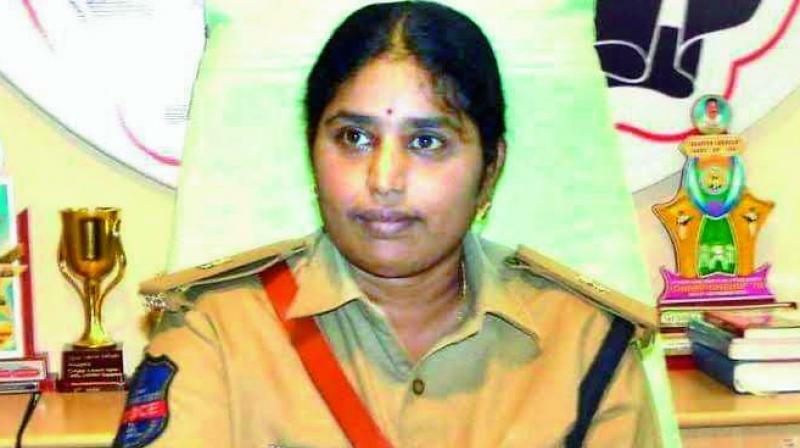 Hyderabad: The Election Commission transferred Vikarabad Superintendent of Police T. Annapurna to the head office of the DGP, excluding her from election duty for mishandling the preventive arrest of Congress leader A. Revanth Reddy. The police observer found the detention “unwarranted”. A video shot by Mr Reddy’s wife Geetha shows the Task Force officer citing Election Commission orders to take Mr Revanth Reddy into custody, but the EC has denied issuing any such letter. Ms Annapurna was carrying a complaint filed by the returning officer. The EC has posted additional commissioner, Central Crime Station, Avinash Mohanty, as Vikarabad SP, with immediate effect. Congress working president A. Revanth Reddy was detained for 13 hours at the police training centre in Jadcherla after he threatened to disrupt TRS chief K. Chandrasekhar Rao’s election campaign at Kosgi on Tuesday. The cops broke into his bedroom at 3 am and dragged him out of his house. The opposition leader was released after Mr Rao left Mahbub Nagar district. The Hyderabad High Court took a serious view of the custody and asked the state DGP to explain on what grounds Revanth Reddy was arrested. “Releasing Mr Revanth Reddy is not enough. Strong action should be taken against erring officials,” said senior Congress leader Madhu Yashki Goud. Twenty-four hours after the midnight swoop, the EC on Wednesday transferred the SP as it found fault with the manner in which the arrest had been carried out.